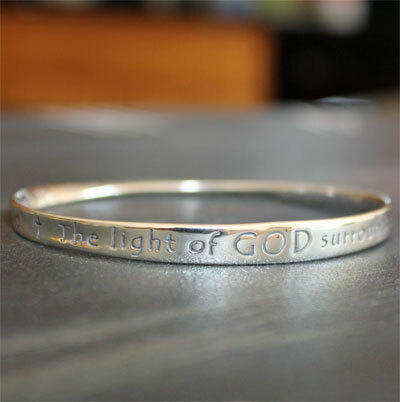 This bangle bracelet - available in Sterling Silver - is finely engraved with the poem written by James Dillet Freeman. 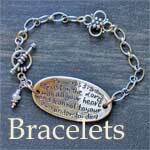 The Mobius bracelet has been designed so that these beautiful words flow all around, inside and out, without end. The unique properties of the Möbius band make the prayer seem infinite. It's hand finished, made in the USA and comes with a history card.